BlogHome » News » Wakefield School Celebrates 175 Years! You may not have heard, but the oldest school in New Zealand is celebrating its 175th anniversary this year. What school is that, you ask? It’s ours! 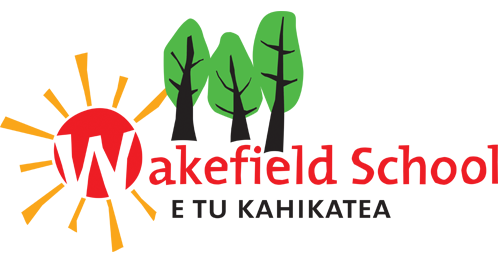 Yes, Wakefield School, opened on 8 October 1843 in Mary-Ann Baigent’s front room on Edward Street, is the oldest continuous school in New Zealand. At least that’s our claim, and nobody has come forward to dispute it, and we’ve been testing the proposition around the country for a while. So, we invite you to celebrate 175 years of schooling in Wakefield on Friday 9 and Saturday 10 November. 11.00am – 3.00pm School showcase day. Come and see how school works today. Watch our super showcase extravaganza on Friday afternoon – songs, plays, puppets and much more! 7.00pm – 9.00p, Wine and cheese evening. Meet up with old school friends, community and neighbours. Speakers, entertainment by school groups. 10.00am – 1.00pm Take a guided bus tour of historic Wakefield and districts. Visit Higgins Park steam museum, Willow Bank historic village and sites of former schools around the valleys, with stories and commentary from specialists. Lunch included. 1.00pm – 3.00pm Celebrations focus around rooms 1-2: photos, displays of historic information, children’s art exhibition and timeline of school history, big birthday cake and dedication of new school sign. This includes the launch of a new book, Wakefield School: Into the 21st Century, a history of the past 25 years of our school by local author, Arnold Clark. Books will be available for purchase throughout the weekend and after. 3.00pm – 6.30pm WAKEFIELD SCHOOL FAIR! No, it’s not the gala as we usually know it, although some things will be the same (great food, excellent entertainment and activities, children’s games, haunted house, petting zoo, rides, merchandise) and the event will capture the spirit of Wakefield school’s long history. The fair is open to all, you don’t have to have registered for the 175th celebrations to enjoy this part of the weekend. 7.00pm till late Party with Nelson’s best blues/rock band, Boogey Train. Bar and supper. Chill out space for those who want a quieter evening. Or by contacting the school office – 541 8332. Hurry to register, some of the events are filling fast! Registrations close early October so get to it!